London: Simona Halep is back as the year-end No. 1 for the second year in a row, despite a back injury that doctors say could lead to a long-term problem. "I haven't practiced 100 percent yet but today, tomorrow, I will do close to 100," said Halep, adding, "and I will be able to know better the next day. The doctor told me it's nothing about the surgery, but if I will keep playing there is a risk of long-term injury. I don't need that and I don't want that, so I have to make good decisions in the next days." 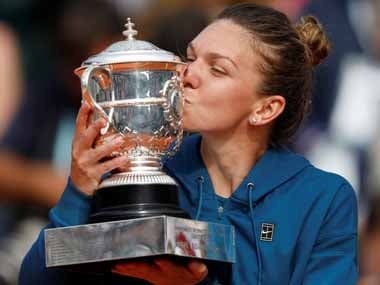 The 27-year-old Halep had her best year on tour in 2018, reaching the Australian Open final and then winning her first Grand Slam title a few months later at Roland Garros. 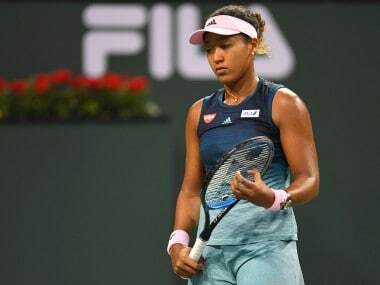 But she announced at the start of this month that she had an MRI exam after retiring from her first-round match at the China Open and the herniated disk problem was found. The Kremlin Cup runs this week and the WTA Finals, which is for the top eight players in the world, begin in Singapore on 21 October. 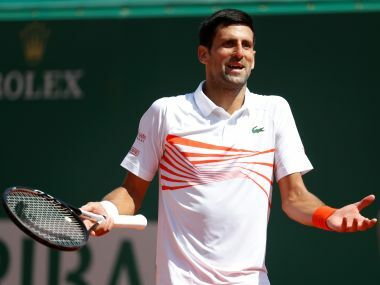 "I hope first to be able to play here (in Moscow) because ... I have already 3-4 days getting ready for this tournament," Halep said. "But if I will not be able to play here, I'm very doubtful that I will be able to play in Singapore because it's very fast. So I don't know now, but for sure I will take a decision for my health first," she added. Despite the injury, Halep is still relishing in her season. She has been at the top of the rankings for nearly the entire year even though her results suffered as the season wore on. Halep has played in 15 tournaments so far in 2018, but she followed up her first major title by losing in the third round at Wimbledon. She then lost in the first round at the U.S. Open. Keeping her best level throughout the long season is something Halep has struggled with, even though she has qualified for the WTA Finals in each of the five years since its move to Singapore. "It's really difficult and I feel it every year, and I feel it more and more, to be honest. I give everything I have the first part of the year and then it's difficult for me to play," said Halep, who also reached French Open finals in 2014 and 2017 but lost both times. "My goal for the next years is to be better in this position, if I would be able to qualify again for the Finals. I want just to be better and ready to play the tournament." But before she takes the court in Singapore, or in Moscow, there's that back injury that is still bothering her. "It's been very stressful, and I was worried every day because I was waiting to see how I feel every morning I wake up," Halep said, adding, "so it's pretty stressful but somehow it's normal because injuries are pretty normal when you play at the highest level. So I try just to keep myself calm and to be positive. I know it's not an easy injury. The back is always difficult, but I have to accept it and to look forward."